I first met Jodi last year through my Joann, who was staying with her before a food photography and styling workshop that they were hosting together. Even before I entered her home, I had a feeling that I was going to like it. 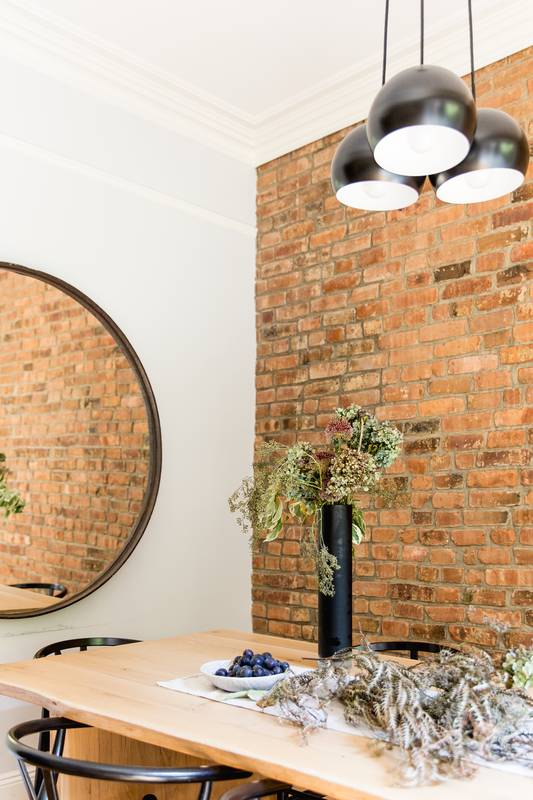 Jodi lives in West Village, New York with her husband and dog, in the bottom two floors of a beautiful bricked terrace. Once inside I clocked her kitchen and immediately asked if I could come back and photograph it on my next trip to the US, which I did in September this year. 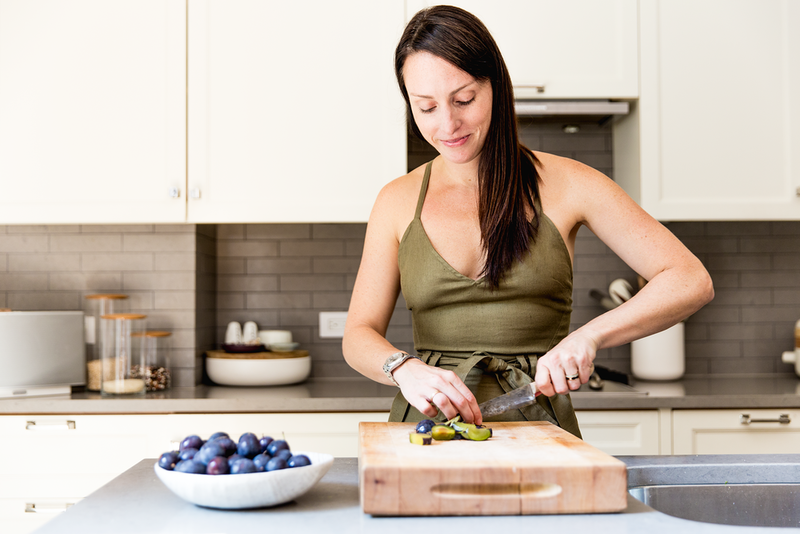 Jodi is a trained natural foods chef, stylist and owner of the blog, What's Cooking Good Looking. After graduating from a degree in communication design at Syracuse University she moved to key west, FL to work for a wildlife photographer as his director of art reproduction. From there she eventually moved back north to the CT/NYC area where she grew up and took a corporate office job. But she missed working within a creative environment and began spending long hours in the kitchen when she'd get home at night. The next day she'd bring the leftovers into co-workers and people began asking why she wasn’t cooking for a living. She took their advice and embarked on a culinary program in NYC at night and on weekends. It was while she was in culinary school that she started her blog (in 2011). She now shares a studio - The Neighbourhood Studio - in Brooklyn NY, where she cooks, styles and hosts events. Her food and interior and personal style are natural and simplistic, and her serene home beautifully reflects this with its exposed brick walls, milky white kitchen and minimalist, yet cosy decor. Scroll down for Jodi's interview and New York favourites! What would you do if you weren’t working with food? I would be a florist or an interior designer. Where are you from in the US? I was born in Queens, NY but I spent my more formative years just an hour outside NYC in Fairfield, Connecticut. 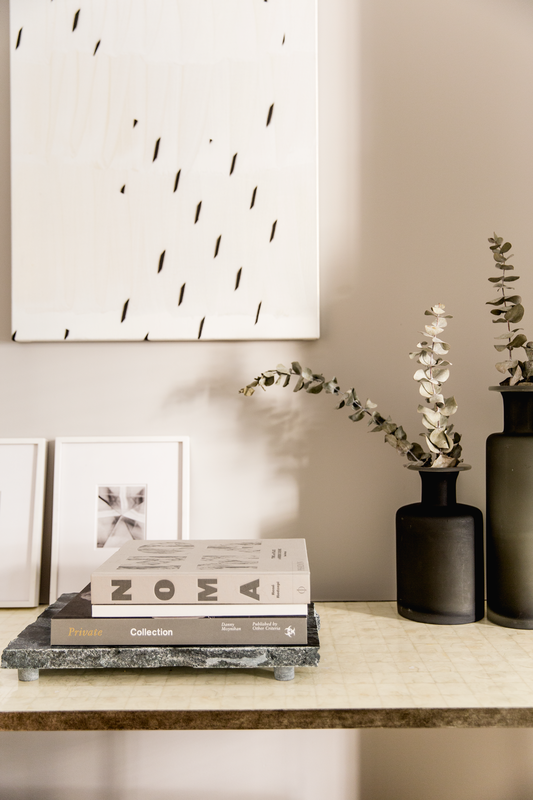 Decorating for an apartment/smaller space is always challenging because you need to maximise every square inch, while also minimising a feeling of crowding or clutter. My mid-century modern, doublewide leasurama rocking chair that is at our beach house. My best friend sourced it for me, and when she found it, it had this hideous orange and brown floral fabric, so we reupholstered it using a cream colored linen. It’s the best, most comfortable chair to lounge around on and read a book. I have a few close friends who are in design and architecture, and I am constantly inspired by their own homes as well as watching their ever-evolving style through their client projects. We spend our time between our apartment in NYC and our home in Amagansett NY, a small beach town on the eastern end of Long Island. I feel so lucky to be able to have both hustle of the city during the week and then be able to escape that and hibernate at our home near the ocean on the weekends. When I am in the city, I love our neighbourhood so much. It feels like a small town within a big city. There are so many great coffee shops and restaurants and shopping, and we have our usual spots where we are very friendly with the people who work there. I often spend days without leaving our neighbourhood. Pouring over magazines, browsing blogs or Instagram, or visiting design stores. Usually 1 book and 1-2 magazines. Currently it’s my Deepak Chopra book, an independent magazine called Brutal, and the European Conde Nast Traveller. How has being a blogger changed how you might decorate? Being a blogger has definitely made me more conscious about the space that I live in and how I decorate. We are all getting bombarded with ideas and inspiration all the time, and since I spend lots of time on instagram and on blogs looking for inspiration, whenever I see something that I love I am vigilant about bookmarking and saving ideas for future design or redesign projects. Every single morning, my husband and I walk our dog around our neighbourhood and get a cup of coffee or matcha at one of our favourite local coffee shops. When I was at a dinner party, someone asked me what I did for a living (and at that time I was very bored by my office job), so she followed up that question immediately by asking what I like to do for fun. I said cooking, and she said, well why aren’t you doing that for a living? That was the conversation that changed my course forever, and I think it is a question we should all ask ourselves. Tough one. I usually would say coffee hands down, but recently I have become really into my morning matcha latte. Just lounging around out at our home in Amagansett …. Cooking in comfy clothes all day, and taking walks on the beach with our dog.